Stephen E. Jackson is the president and chief executive officer of eLynx Technologies, LLC, a leader in data-driven analytics, remote monitoring and field automation for the oil and gas industry. Since 2000, eLynx has pioneered real-time data collection, production reporting, and remote monitoring and control for more than 400 exploration and production companies. eLynx’s web-based and mobile solutions deliver real-time data and data-science driven insights to optimize production while reducing costs and risks. Headquartered in Tulsa, Oklahoma, eLynx provides analytics and on-site data services to operators in all major basins in North America. Mr. Jackson has founded and developed several companies during his business career. These businesses focused on several industries, including commercial and residential land development; oil and gas exploration and production; and a midstream pipeline company that gathered, processed, and treated natural gas and gas liquids. 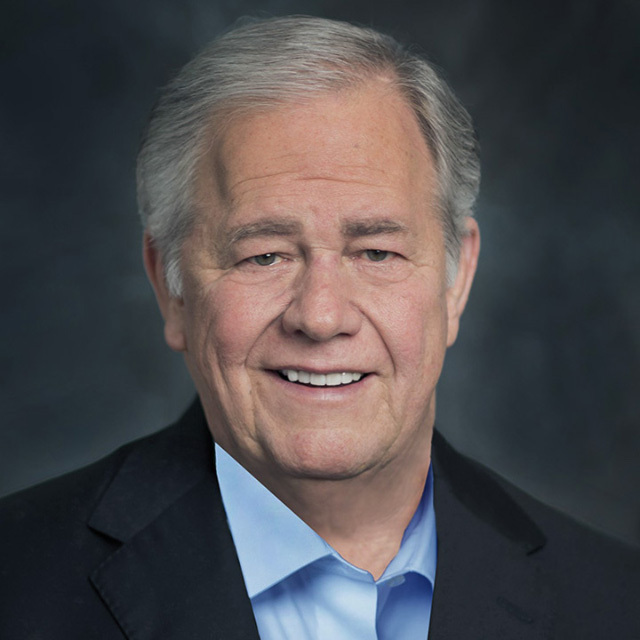 He has served on the boards of various public companies, including First Interstate Bank of Oklahoma, Boatmen’s Bank of Oklahoma and Silicon Valley Bank of California. He is a past board member of Iron Gate, Saint Simeon’s Episcopal Home and the State Governing Board of Big Brothers Big Sisters of Oklahoma, previously volunteering as a Big Brother for 15 years. Mr. Jackson currently serves as a member of the Board of Trustees of The University of Tulsa, participating as a member of the Executive Committee and Chair of the Audit Committee. Mr. Jackson earned a degree in Business Administration from Vanderbilt University in 1968.